The Brownestone Group enjoys, in addition to its partners and affiliate consultancies, meaningful relationships with top leaders from many industries. The diversity of our clients, friends and supporters of every nature give Brownestone the strongest of foundations. Advisory Board members are leaders known for their successes at startups, fast-growth companies and international corporations. Their achievements include brand transformations and business turnarounds. Our advisors are change agents, creative by nature and experts of global brands and consumers as a result of their passions and experiences. America knows NY-Emmy Nominated TV Host and Style Expert Lloyd Boston best from top shows such as The Insider (CBS) and corresponding on the popular companion show to the Emmy-winning Entertainment Tonight. The former VP of Art Direction for Tommy Hilfiger, Boston spent over a decade with the brand, creating the company’s first internal Creative Services department, and ultimately being named the brand’s first national Spokesperson. Lloyd is the author of four highly celebrated style books including The Style Checklist (Atria/Simon and Schuster), and his own limited-edition line of greeting cards for Papyrus. 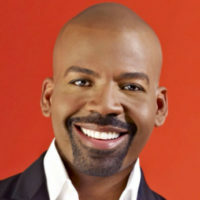 He has been a regular contributor to NBC’s Today for more than a decade with well over 250 appearances, and also had several top-rated Oprah appearances, including his very own hour of style with the legend. Lloyd got his start on ABC’s The View with countless expert segments, then reaching millions worldwide on The Wendy Williams Show, The Talk, Rachael Ray, Martha Stewart, E! News, and many more. Bob Galvin’s retail experience spans many well-known global brands. He currently serves as the Chief Executive Officer of Iconix Brand Group, the portfolio of which includes Candie’s, Joe Boxer, Mossimo, London Fog, Ocean Pacific, Zoo York, Umbro, Ecko Unltd and more. 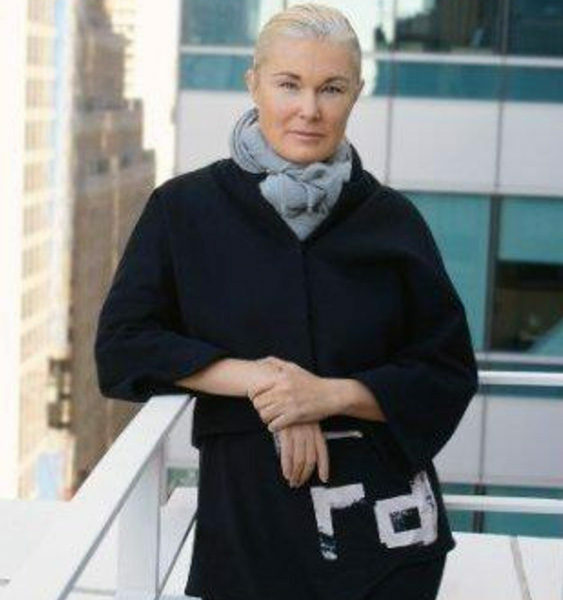 Prior to Iconix, Bob served as the CEO of Elie Tahari as well as the president of Camuto Group which includes top brands such as BCBG, Vince Camuto, Lucky Brand, Jessica Simpson and others. He has also served as the Chief Operating Officer of Sport Brands International, a $450 million global wholesale and retail athletic branded company that included well-known brands such as Fila and Cloudveil. In his earlier career, Bob held leadership roles at Kurt Salmon Associates, York International and Nine West Group, Inc. Currently, he is an active board member of Lands’ End, and previously served on the boards of bebe and Cherokee. Bob brings extensive knowledge of the accessories, apparel, and footwear industries along with management experience gained through his service as a Chief Executive Officer and numerous other senior executive positions at multiple apparel companies. Mitch brings a wealth of experience in the finance, retail and fashion industries. 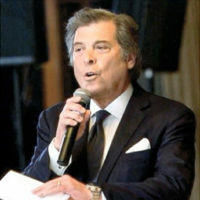 Most recently, Mitch served as Executive Vice President and Chief Administrative Officer for the Ralph Lauren Corporation. In this role, he oversaw an array of functions, including human resources, information technology, legal and corporate services, internal branding and communication, and social responsibility initiatives. Prior to joining Ralph Lauren, Mitch was the Senior Vice President and CHRO for both CONSECO and Footlocker World-wide, and held several senior divisional Human Resources roles with Federated Department Stores (now Macy’s). Mitch advises on human strategy and cultural transformation. 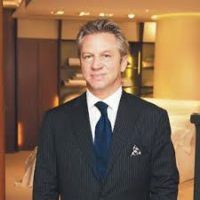 Paul Raffin is an accomplished leader within the global fashion and luxury industry, and is currently serving as the Chief Revenue & Strategy Officer of Loomia, a technology company at the forefront of the smart textile sector. He is also the founder of The Merchant Matrix, LLC, whose objective is to optimize the symbolic relationship between a brand’s promise and the technology that can help deliver that in an exciting way. 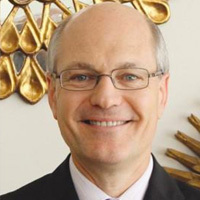 Previously, Paul held Chief Executive Officer, President and Division President positions at The Frye Company, positioning the brand for explosive growth within the Direct-to-Consumer segment; Li & Fung USA-Men’s, Children’s and Entertainment Licensing Group; Frette; DZ Trading; and Express. Paul has led $1Billion+ revenue businesses, as well as entrepreneurial ventures. He began his retailing career at Bloomingdale’s in 1975 and has also held various management positions at Izod Lacoste (Division of General Mills), Merona Sport (Division of Oxford Industries) and Tricots St. Rafael. Previously, he served as a Director of dELiA*s, Inc. and Rosie Pope. Paul is actively involved XRC Lab, an accelerator affiliated with The New School. Kinthi Sturtevant possesses over 30 years of experience and has been a line executive and strategic advisor, leading growth, productivity and large scale change within the Technology/ Services, Retail, Manufacturing, Consumer Packaged Goods, Travel and Transportation, Pharmaceutical and Utilities sectors. Most recently, Kinthi was with IBM as Vice President and Partner of Strategy and Analytics, Talent and Change Global Center of Competence in Global Business Services. 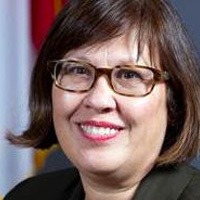 Earlier, she was Vice President of the Organizational Change Management Center of Excellence, part of IBM’s corporate Enterprise Transformation group, developing programs to ensure realization of business benefits from global transformation initiatives. Kinthi’s earlier experience includes senior leadership roles at PwC, Coach, Manhattan Industries, May Company and Federated Department Stores. Currently she is Managing Director of The Maw Sturtevant Group, where she partners with small and startup companies as well as fortune 500 companies. She is a subject matter expert on leadership development, culture and organizational change. She is an experienced facilitator, educator and advisor, highly sought after to develop actionable change programs that deliver results. Dan Walker is an accomplished consumer and retail executive, known for being a Human Capital and Leadership innovator with significant global experience. He has partnered and worked with some of the world’s most dynamic brands and company founders including Steve Jobs, Ron Johnson (of Apple and JC Penney) and Mickey Drexler (Gap, Inc.), all known for being entrepreneurial and visionary leaders. During his tenure at each company, the businesses were undergoing tremendous change, growth and transformation. He has a broad, deep and rich background learning and understanding complex, diverse and fast-growing companies, along with an astute knowledge of business and the ability to drive profitability with the consumer in mind. 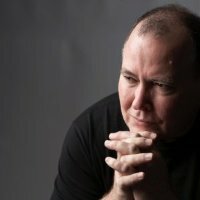 Dan is currently the Founder & CEO of The Human Revolution Studios, where he is utilizing his 40 years of experience to bring new thinking to new and established companies in order to leverage their current leadership teams. He has also launched and partnered with numerous startup businesses.